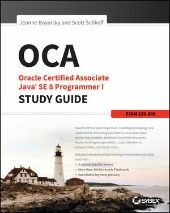 See one thing in the 1Z0-071 link there is written in the cover of book that->Oracle database 12c SQL Certified Expert Exam Guide and in the cover of book there is not written anywhere that this book is for 1Z0-071 exam . So i wanted to ask that 1Z0-071 link is real means that book is for 1Z0-071 exam or is a duplicate copy of that 1Z0-047 book?? ?